What we learned this episode. New Nanny vs Corinne’s Nanny is gold, A volleyball game has the power to make everyone pout and contemplate life, and Nick really doesn’t know how to plan dates. Nick is like I refuse to have a rose ceremony. Take that Chris Harrison. No screen time for you. Taylor came back to talk to Nick and assure him she was not a bully. This did nothing to sway his opinion about Corinne and Nick made out with Corinne in her up-to-there, skin-tight dress as shots of Taylor stewing in the black escalade home were interspersed with the narrative. Just lovely. The group traveled to St. Thomas! 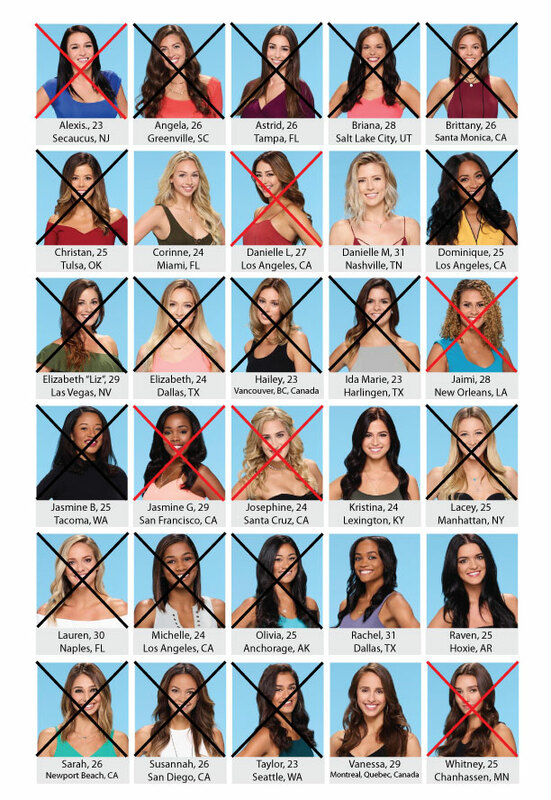 Who got kicked off: Dolphin Shark Alexis, Jaimi, and Josephine the serenader were the three unlucky ladies sent home at the rare rose ceremony that occurred at the beginning of the episode. Jasmine pulled a Dominique and got sent home at the cocktail hour after the group date because she wasn’t getting enough time with him. Note to self: Do not pull out the Chokey. Awko Taco. Whitney and Danielle L. were both sent home on the two-on-one. Yes, another two-on-one. Danielle L. got the rose on the two-on-one so Whitney was left on the island to fend for herself. But then Danielle L. kept talking about her feelings and dropped the L-bomb and Nick was like I’m feeling like you should go home right now. And so she did and Nick was left feeling hopeless and uncertain of the process. He went so far as to go into the hotel room and cry to the six remaining girls that he didn’t know if this process was going to work for him. So many tears. I honestly don’t know how the blooper reel will survive without our beloved Dolphin Shark. You will always have a special place in my heart, Left Shark. Even if you weren’t appreciated in your time.